“My family has lost everything. My uncle with stage 4 cancer is in so much pain and stuck in the hospital. However conditions in the island are far worse than we imagined and my greatest fear has been made reality. The chaos has begun. The mosquitos have multiplied like the plague. Dead livestock are all over the island including in whatever fresh water supplies they have. My family has been robbed and have lost whatever little they had left. The gang members are robbing people at gun point and the island is in desperation. People are shooting each other at gas stations to get fuel. They’re telling us to rescue them and get them out of the island because they are scared for their lives. We’re talking about 3.5 million people on an island, with no food, no drinking water, no electricity, homes are gone. Family if you have the means to get your people out, do it. This is just the first week. Imagine the days and weeks to come. These are bad people doing bad things to our most vulnerable. I decided to vet what I could, and I believe this horrible story is absolutely true. I confirmed that there is very little food, no fresh water, 97% are still without power, limited cell signals have stymied communications, and hospitals are struggling to keep people alive. There is no 911. Help is not on the way. If you have no cash, you can’t buy anything. As people get more desperate, violence increases. Never doubt that such an event could happen to any of us, no matter how carefully we prepare. Your best-laid plans could be swept away by a storm, flood, or fire. The immediate support most people have grown to expect might not be on the way. Many homes were completely destroyed. Rivera Aviles, a Cataño city council member who set up the shelter with the help of her husband, found that her home was devastated, too. There is hardly any potable water. Nearly half the people in Puerto Rico are without potable drinking water. The tap water that is restored has to be boiled and filtered, and others are finding water where they can. You can expect a health crisis soon due to waterborne illnesses. When I researched my book about water preparedness, I learned that waterborne illness is one of the deadliest threats post-disaster. Although FEMA has delivered 6.5 million liters of water, on an island with 3.4 million people, it isn’t enough. She added that the problem went beyond access to drinking water — it was becoming a real public health concern. Compounding that issue was hospitals lacking diesel and being unable to take new patients, she said. “There’s so much contamination right now, there’s so many areas that are flooded and have oil, garbage in the water, there’s debris everywhere,” she said by phone. Hospitals are struggling to keep people alive. A hospital in San Juan reported that two people in intensive care died when the diesel fueling the generator ran out. The children’s hospital has 12 little ones who depend on ventilators to survive, and once they ran out of fuel, they have gotten by on donations. FEMA has delivered diesel fuel to 19 hospitals. But many darkened hospitals are unable to help patients who need it most. And it isn’t just the hospitals that are dealing with medical crises. Residents of Puerto Rico are also having trouble getting necessary medications. A shortage of open pharmacies is another stressor, especially for the chronically ill and elderly residents. Most pharmacies in Puerto Rico remain closed, although they are slowly beginning to reopen. A CVS spokesman said that 21 out of 25 Puerto Rico-based CVS stores are now open, including 17 pharmacies. The first one reopened last Thursday. A Walgreensspokesman said about half of the island’s 120 stores are open and running on generators, but that hours vary. The stores are also receiving supplies of medication. But many pharmacies in Puerto Rico are independently owned. With so many people pleading for medication, some pharmacists who know their clients are dispensing drugs without the required prescriptions or refill bottles. Hospitals still have adequate supplies, and so do many of the open pharmacies, but there are concerns they may run out because suppliers are unable to get to them, said Dr. Victor M. Ramos Otero, the president of the College of Doctors and Surgeons of Puerto Rico. The people who were already weakened by illness will fare the worst, shortly followed by those who become injured or ill in the aftermath. Much of the food on the island has spoiled or been contaminated. And there won’t be food produced anytime soon. 80% of the crops were completely wiped out and it will take a long time to produce more. José A. Rivera, a farmer on the southeast coast of Puerto Rico, stood in the middle of his flattened plantain farm on Sunday and tried to tally how much Hurricane Maria had cost him. “How do you calculate everything?” Mr. Rivera said. For as far as he could see, every one of his 14,000 trees was down. Same for the yam and sweet pepper crops. His neighbor, Luis A. Pinto Cruz, known to everyone here as “Piña,” figures he is out about $300,000 worth of crops. The foreman down the street, Félix Ortiz Delgado, spent the afternoon scrounging up the scraps that were left of the farm he manages. He found about a dozen dried ears of corn that he could feed the chickens. The wind had claimed the rest. Surprisingly, one of the most reliable ways to contact the outside world is with Facebook Messenger. In fact, Facebook has dispatched a “connectivity team” to help more people contact loved ones. AT&T is bringing giant floating antennas in an effort to restore cell service. It won’t be any surprise to preppers that ham radio operators are the only people still reliably able to communicate. CNN offered the following links for those trying to check on loved ones. Contact the Puerto Rico Federal Affairs Administration. Here’s a link to a directory of the Puerto Rico emergency operations center. Puerto Rico Maria Updates is a public Facebook group, collecting information for those affected by Hurricane Maria. People are posting messages asking for information about specific towns and specific people. Facebook has also turned on its safety check feature. You can also try to find family and friends via the American Red Cross. Use the safe and well page. As the desperation increases so does the danger. People are waiting four hours or longer for a gallon of gasoline and fights are breaking out in the lines as tensions run high. A curfew is in effect to try to squelch looting but success has been limited. Incidents … are common in the capital, where men carrying bats and clubs have been seen on the streets during curfew hours. The mayor of San Juan, Carmen Yulin Cruz, told WAPA Radio, “We highly advise everyone not to be on the streets at night. It is not safe,” warning that reports of looting are on the rise. “That is definitely something I don’t want to hear. Especially when the only lighting I have during the night is candlelight,” said Bianca Nevarez, who lives in Bayamon, where the scenario is much more tense since 13 prisoners escaped while they were being transferred to another criminal facility after the Category 5 storm caused severe damage in the prison. “We have captured eight of them, so five are still on the loose,” Ramon Rosario, secretary of Public Affairs of La Fortaleza told The Daily Beast. Rosario added that 21 arrests have been made across the metropolitan area as a result of those breaking the curfew, which now runs from 7 p.m. to 5 a.m. No expiration date has been set. Others talk about brazen crimes. OpsLens reports that the military is now joining forces with local police to curb the lawlessness. Expect this to get even worse as the desperation increases. Why has help been so slow to arrive? Why is it that hardly any aid has arrived for this US territory? Geography and infrastructure damage are definite factors, and red tape and ridiculous laws are making matters even worse. Difficulty lies in the fact that harbors and airports were severely damaged by Hurricane Maria. Roads are blocked with debris and some areas are still flooded. Lack of communication also plays a part. Relief supplies are stranded in port because there isn’t a way to distribute them. (source) A shortage of drivers and diesel fuel meanw that some of the aid that HAS arrived can’t be distributed. This is a perfect example of the United States having far too many laws. One, in particular, has slowed relief. The Jones Act is a law from the 1920s that makes it illegal to ship foreign goods on American ships with an American crew. The Jones Act, otherwise known as the Merchant Marine Act of 1920, requires goods shipped between American ports to be carried out exclusively by ships built primarily in the United States, and to have U.S. citizens as its owners and crews. President Trump immediately suspended the Jones Act to allow fuel to get through after Texas and Florida were hit by back to back hurricanes but last night, an entire week after Puerto Rico was cut off from the world, he was still “thinking” about it. To be fair, some aid has gotten through and FEMA says they have 10,000 people on the ground in Puerto Rico to help out with search, rescue, and recovery. President Trump also waived the legal requirement for a state to pay for one-fourth of the cost of the disaster since Puerto Rico is bankrupt. The military is airdropping food and supplies to more remote areas of Puerto Rico that are unable to be accessed by roads. It would be delusional to think that this kind of disaster could never happen to us. Of course, the size of our mainland means that disasters tend to be regional and that it is fairly easy logistically to get aid to different areas, but don’t be lulled into a false sense of security. There are some kinds of disasters that could affect the entire nation, like an EMP, just to name one chilling example. Storing non-perishable food and off-grid supplies is very important. Have the supplies on hand to purify water. Have the necessary skills to access food and water if your supplies are destroyed. When all communications are down, ham radio will still work if you can get the power to run it. Keep extra essential medications on hand. Be prepared for the day when there is no medical help available. Keep up to date on current events so that you can be better prepared for what is headed your way. Always have cash in small denominations. Do not depend on a generator for a long-term emergency. Prep low-tech because fuel will be short and it will help you to stay under the radar. Be prepared to defend your home and family as desperation increases. Having a plan is essential but it isn’t foolproof. No area is completely immune to disasters…earthquakes, wildfires, tornadoes, floods…these can happen just about anywhere. It’s easy to say, “Oh, it’s their own fault for living on an island/not prepping/not evacuating” but this attitude belies the fact that a disaster could wipe out any of us at any time. Maybe it’s callousness, or maybe it’s really just denial. 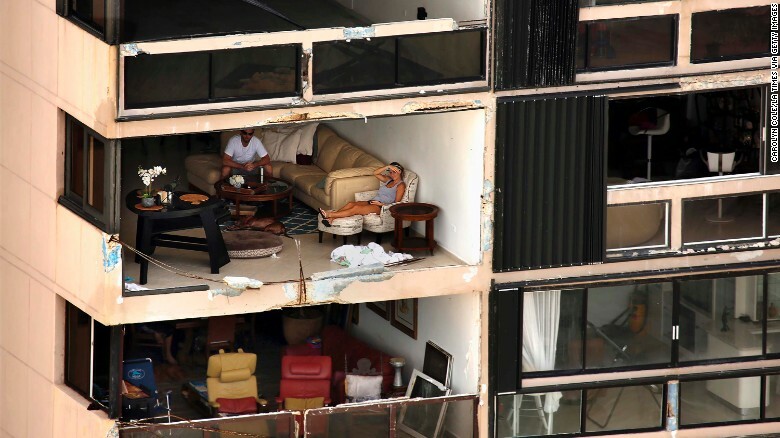 The terrible situation in Puerto Rico is proving true many theories about the aftermath of an all-out SHTF disaster. Particularly, it has proven that help is not always on the way, you have to know how to survive when absolutely everything is gone, and that desperate people do desperate things. These are lessons we should all take to heart.